Monday, November 30, 2015 - Four years ago, Kevin Tart and his father, David, switched to non-genetically modified organism (non-GMO) corn on their rural Spring Valley, Minnesota farm. “I’ve seen a lot better crops with non-GMO seeds,” said Tart. 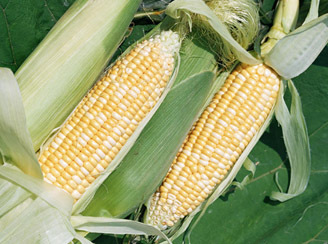 They found that they have had better success than with planting genetically engineered corn seed. He related that he has noticed higher yields than when his family farmed using engineered seed and that there are numerous reasons he plants non-GMO seed, beginning with a responsibility to the environment on a microscopic level and factoring in that their beef cattle operation has shown greater production. The point of farming is to raise quality food sources but to do so in cooperation with nature, using the bacteria and fungi, or decomposers, that are already available in the soil to promote a life cycle that is beneficial to both the farmer and the soil, the Tarts noted.